Promotion of technical research for reconstruction of local community-based fisheries and aquaculture. Cooperation in planning safe, disaster-resilient coastal fisheries communities. Integrated development of coastal environmental studies, fisheries engineering, fisheries sociology, fisheries economics, and fisheries resources as a basis for new fisheries communities. Promotion of close cooperation among Universities, the Fisheries Research Agency, and regional fisheries experimental stations to support the reconstruction of the fisheries sector. Promotion of research on radioactive contamination of marine organisms and monitoring the risks for the coastal environment and seafood. Development of human resources for local governmental agencies to implement recovery efforts in the affected area. Reassessment of disaster prevention measures and cultural aspects for the rebuilding of local communities. Planning of innovative fisheries communities and industries. Combined efforts for speedy recovery involving the industry, government, academia, and private sector. The Japanese Society of Fisheries Science (JSFS) sincerely appreciates the generous support from both inside and outside of Japan in response to the Great East Japan Earthquake. The total amount of contributions to the JSFS is \7,402,939 as of June 10. The executive board of our society has decided on the following uses for the donations. For supporting children, donations were given to the Momo-Kaki Scholarship Association, which is organized by architect Mr. Tadao Ando, Nobel Prize winner Dr. Hideki Koshiba, and others (URL: http://www.tadao-ando.com/momokaki01.html). For supporting the reconstruction of the fisheries industry and fisheries research- and education-related institutions, we have established the “Disaster Recovery Center” (Administrative Officer, Dr. Minoru Sato) at Tohoku University. The Disaster Recovery Center will establish the rules for distribution of the donations and manage its distribution. The JSFS especially appreciates donations from the American Fisheries Society and The Fisheries Society of the British Isles. We presented certificates of appreciation to both societies and we would like also to express our thanks during the General Assembly at the 2011 Autumn Meeting of JSFS. The Board of Directors of JSFS would deliberate further on the possibility of continued support for children affected by the disaster. We look forward for your continued support and cooperation. 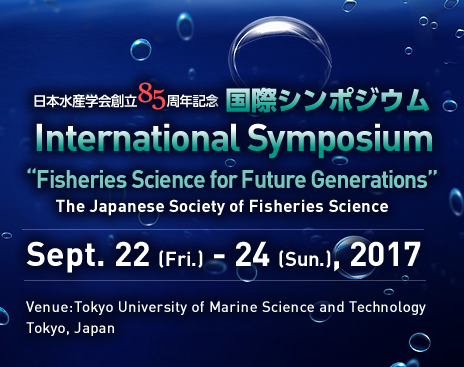 The Japanese Society of Fisheries Science (JSFS) sincerely appreciates the generous support from its members and from other institutions. The total amount of contributions to the JSFS is \7,402,939 as of June 8. The executive board of our society has decided on the following uses for the donations. Approximately half of the total amount (\3,700,000) will be used to support the reconstruction of the fisheries industry and of fisheries research- and education-related institutions. Nine institutions (four universities, two prefecture-related institutions, one high school, one fisheries cooperative association, and one private corporation) applied for support and the Disaster Recovery Center of JSFS has decided to provide financial aid for all of them. The remaining half (\3,702,939) was given to the Momo-Kaki Scholarship Association, a foundation for the support of children affected by the disaster. The contribution was presented by Dr. Eguchi, a board member of JSFS, at the JSFS office in Osaka Prefecture. JSFS will continue the collection of donations to support children affected by the disaster. The JSFS also received generous donations from the American Fisheries Society, The Fisheries Society of the British Isles, and other non-members and has presented these institutions and individuals with certificates of appreciation.